I started to make jewelry because I wanted to share the amazing energy and healing powers of stones and crystals. Each piece is made with positive intentions and charged with reiki energy, positive vibrations and love. I believe all things are possible when we first love ourselves. We are all connected. Working with stones from the earth promotes and encourages this connection on all levels; vibrational, spiritual and physical. My inspiration comes from nature and animals. I have always loved being surrounded by trees and animals. I've worked with animal rescue most of my life and share my home with many fur angels. 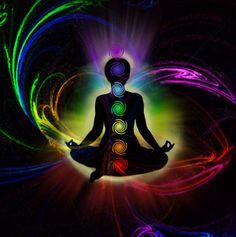 Chakras are our energy centers. They are the openings for life energy to flow into and out of our aura. Their function is to vitalize the physical body and to bring about the development of our self-consciousness. They are associated with our physical, mental and emotional interactions. In my shop here you will find semi-precious jewelry that I create with great intention of love, harmony and well-being. Vibrations and healing properties of stones is amazing! You will feel the energy as soon as you put one of my creations on! I also make Herbal Eye Pillows, great for relaxation, sinus headaches/pressure, eye strain. And essential oil products and soy candles are being added! If you have any questions or a custom order request, please contact me anytime!